The Glenlivet is based near the Speyside-town of Ballindalloch, and produces the world's second best selling single malt whisky. 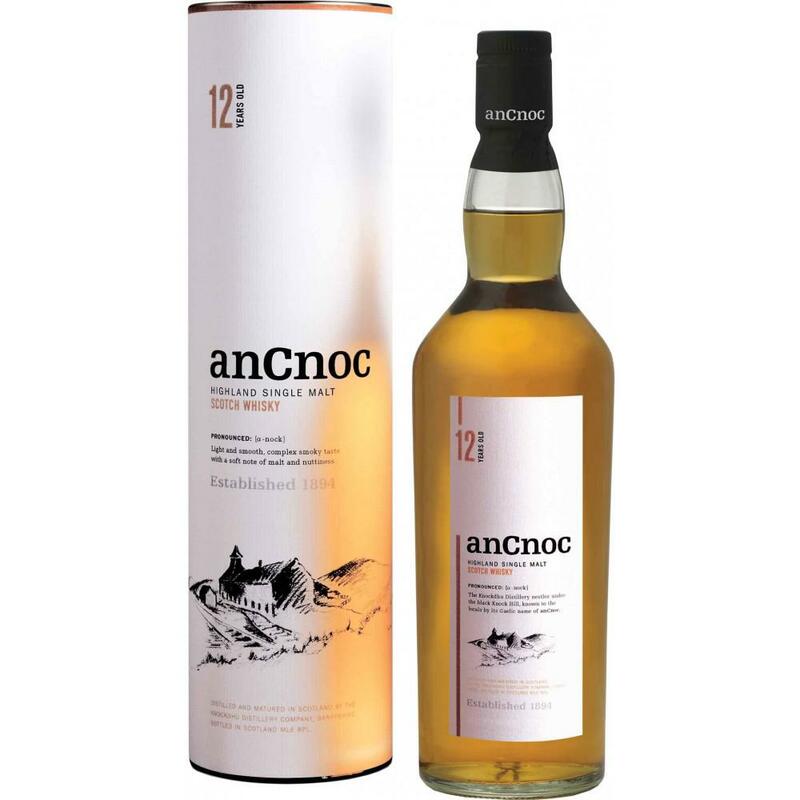 Their core range mainly exists of accessible and delicate single malts. This falls into the classic style of scotch that doesn't do it for me although some people enjoy it. Too much burn and bitter aftertaste for me. Simple whisky that is nonoffensive, but not memorable. Goes down easy, but is flat on the finish. A malty and fruity every day dram. Gentle, with plenty of apple and vanilla. An excellent introduction to Scotch. uninspiring. I keep it in my collection as a base level when I host Scotch nights. Clear, clean, sweet, with oak finish and a hint of alcohol burn. Full smooth flavor, mostly vanilla with hint of spice. An easy going dram, not to complex. This is an okay bottle for an entry whisky, but there is better value to be had in this price range. Well balanced, perhaps a bit sweet. Not too complex, easy to drink. Relatively smooth with a medium finish. A bit bland - oak and not much else. Smooth, easy drinking, a little oaky. Rich. Fruity, vanille, smooth and excellent entry level single malt. Good value for money. Another beginners malt. Good stuff though. It's a big seller for a reason! A fine, simple dram. Nothing stellar or complicated, yet smooth and enjoyable. Мягкий напиток с ароматами луговых трав. Сладковатый вкус, мягкое послевкусие. Very smooth with hints of fruit and honey. Quite vivid and intensive taste with fruity tang. Honey on the nose. Balanced overall. Decent commercial single malt. Silky smooth on the palate. Enjoy neat or with a few drops of water. Floral & fruity. It's a good intro to scotch. Nothing fancy or outstanding with the palate. Smooth finish. I could take two drams of it then it got boring. I would probably get it again so someone that needed an intro to scotch could try it. Middle of the road, not mindblowing and not too boring. reliable very drinkable but but not remarkable. Very good accessible and affordable single malt. Fruity light and smooth. Not sweet or dry, but balanced. Floral, fruity, sweet. Very easy drinking. No intensity. No sharp edges. Maybe som pears or apples. I enjoyed it. it's less intense than some other whiskeys, so it would be good to have around for every day use or just to use with guest. I enjoyed it better neat, was to diluted on the rocks. plus it doesn't really need it since it's fairly smooth. Sweet up front, malty. Becomes spicy with water, but breaks down quickly. Unpopular opinion but I really don't like Glenlivet. I've given it a shot time after time and have never been able to enjoy it let alone finish a glass of it. Enjoyable. Nose gave hints of honey and butterscotch/toffee. Prefer neat, but a few drops of water brought out more character. Nose: Intense honey, fresh and sweet. Floral and exotic - pineapple, apple cider vinegar, brown sugar. Barely no oak. Nutty. Palate: Goes down like water, rich and balanced. Somewhat citrusy, and the oak starts to show up in the background. Very fresh. Finish: Medium, slightly coats your mouth with a sweet fruity note. For some reason this had a sort of numbing or antiseptic affect on my tongue. Entry single malt Scotch offering. Honey, fruit, leather, tobacco light notes. Nice as a back up to bolder flavors. Good for daily use. On the lighter side. My go to. On the rocks smooth clean flavor. strong vanilla and pineapple. a hint of Apple and cinnamon. sweet vanilla with a zing from citrus fruit. pretty standard speyside whiskey. light, fruity, appley, a touch of orange, and light malt notes. No heat whatsoever. This was my first single malt. went through a few bottles, but quickly ramped-up to the likes of Laphroaig 15 and lagavulin 16... Never looked back. Though I wouldn't turn it down if offered at a party or event. Light spicy with a bit of fruitiness. This whisky is a soothing drink to have it neat rather than in ice or diluted in water. Yes, drink this neat is just how I like it. A good starter scotch and every day drinker. Very smooth and a pleasant finish. An old go to. Dark yellow body. taste is sweet and slightly sugary buy with a slight bite at the end. classic example but very straightforward. Very pretty whiskey. Notes of light fruit and flowers at first and a strong brown sugar and toffee finish that barely hints at some smoke. I think their tasting notes online say pineapple, but I've never smelled or tasted any pineapple in here. sweet and smooth scotch that taste great neat or on the rocks. Great base line scotch for someone new to scotch drinking. For a veteran, its like catching up with an old friend. Smooth, fruity. Taste like a scotch champagne. From Speyside the heart of Scotland, well know are for smooth flavour. And this is not exception to all those atributes. 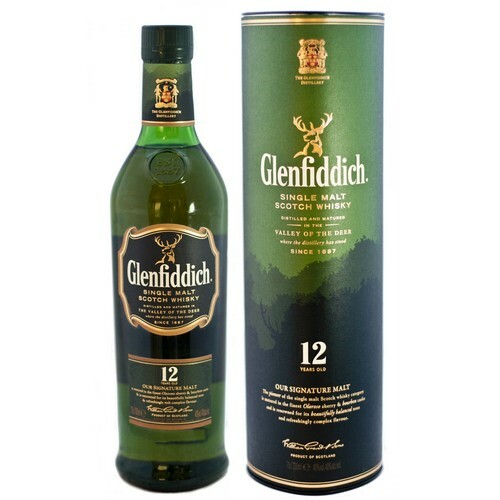 The 12 years Glenglivet is sweet to the nose, very smooth to paladar, you can sense some fruity or citrus flavour on it taste and perdures a fine taste. Very enjoyable for every occasion, always like to come back to this whiskey. smooth and not bad for the price. Best all-around Speyside for the budget-minded, and a good introductory single-malt for those new to scotch whisky. fine whisky, especially advisable for novice whisky enthousiast. I looked for a good introductory scotch and landed here. now it's a new go to for sure. really enjoyed it!